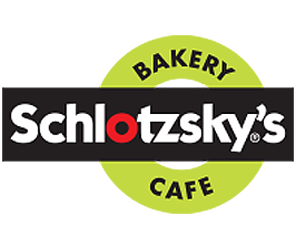 Online ordering menu for Schlotzsky's (Lee's Summit). Welcome to Schlotzsky's! Since 1971, we have been the home of The Original® toasted sandwich and now provides the highest quality sandwiches, pizzas, salads, and soups available. Try our Bacon Grilled Cheese, French Dip, and our Tuscan sandwiches! Pair your sandwich with one of our delicious soups, including our Chicken and Wild Rice, Loaded Baked Potato, or our Tomato Basil! We've got plenty of other options for you to enjoy as well. Find us at the corner of NE Tudor and NE Douglas, right across the street from Lee's Summit North High School. Check out our menu and order online today!